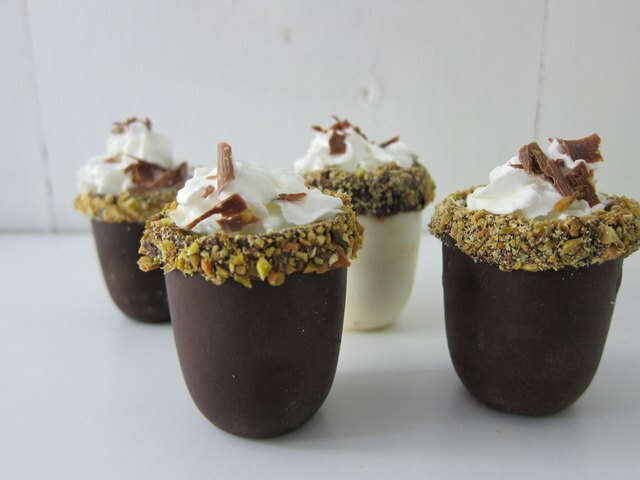 Take celebrations to the next level with this deliciously edible shot glass that allows you to drink your cake-flavored vodka and eat it, too. So go ahead, give this shot a shot. You won't regret it. 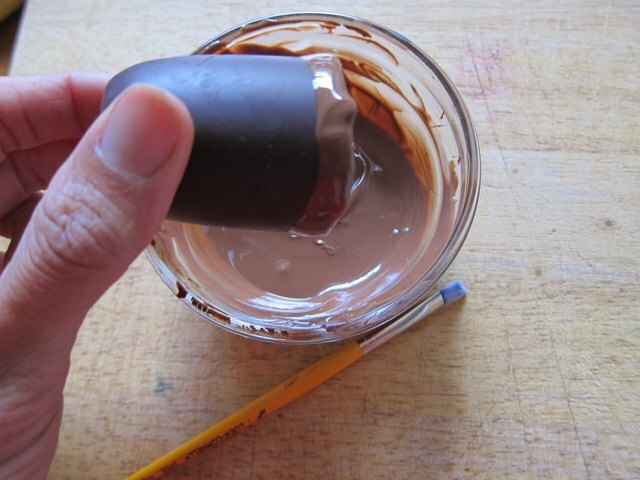 Combine equal parts molding putty with your hands. Working quickly, wrap outside of your favorite shot glass starting at the bottom working towards the rim. Make sure to leave the walls thick enough so no holes appear. Press the bottom flat, and let cure for about 30 minutes. Remove glass after the putty has cured. 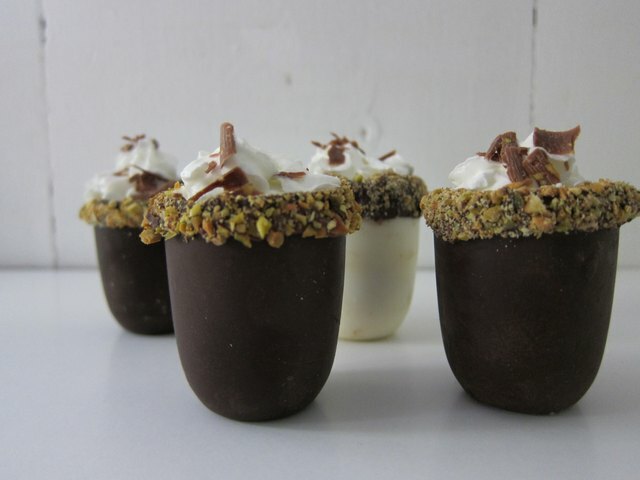 You can also purchase shot glass molds at specialty stores or online. This is a good alternative to making your own mold if you are making several shot glasses or you aren't particular about the size and shape of your shot glasses. Melt the chocolate in the microwave in 15 second spurts, stirring vigorously between heatings. The chocolate should never get hot and should always feel just warm to the touch. Pour melted chocolate into the mold, swishing around until the whole surface if covered the pouring excess out. Repeat to ensure a thick enough wall. Put the mold in the freezer for about 10 minutes, then remove. First, gently pull away the putty around the rim. Then, pushing up from the middle bottom of mold, separate the chocolate shot glass from the mold. If the top lip is jagged, trim it very gently with a paring knife to even it out. Melt the chocolate of your choice in 15 second spurts in the microwave. I used milk chocolate for contrast but any chocolate will do. Dip the chocolate glass into the melted chocolate very quickly or the chocolate will start to melt your chocolate glass. Chop up a few tablespoons of nuts and dip the rim into the bowl of nuts. 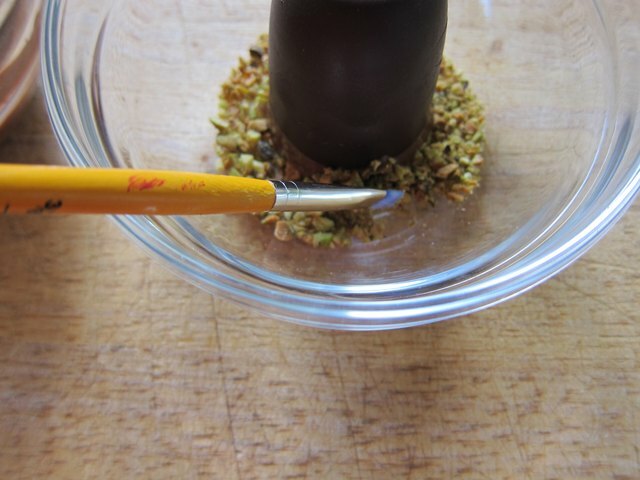 Use a brush to sweep nuts up onto the side of the melted chocolate. Add your drink and top with whip cream, chocolate shavings, more nuts, cherries, sprinkles or whatever else sounds good to you. Enjoy!